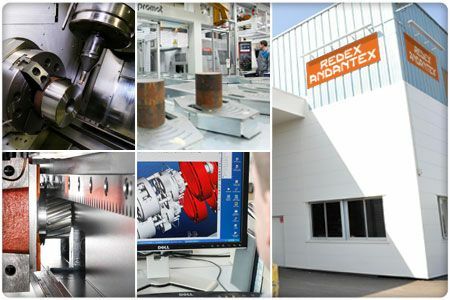 REDEX Group is a well known solutions supplier for specialized industries. such as the Steel industry, Robotics, Machine-tools, Printing/Converting, Automation/Material Handling, Wire and Cable, Packaging and Test Stand. - different types of processing equipment for Strip and Wire industries (Cold rolling mills, Rolling mills elements, Tension leveling units,etc.). - a large range of power transmission products specifically designed for demanding industries for example high-tech Planetary servo-reducers and drives, Racks and pinion drives, Spindle drive gearboxes, Differential drives, Right-angle bevel gearboxes, Multi-speed gearboxes and additional products.